Natural topaz is often confused with other gemstones. The popular blue varieties of topaz are usually treated and passed off as cheaper versions of aquamarine and Apatite. The more neutral toned topaz gemstones are either forgotten about or confused with smokey quartz or citrine. There is a wide range of topaz specimens that rival even the most expensive colored diamonds and sapphires. Below are seven interesting facts you probably didn't know about this fiery and diverse gem. Topaz Used to Be Peridot! Topaz has a long and often times disputed history, primarily because it has been confused with other minerals many times. First, we must start at the beginning when the word topaz first hit the jewelry radar. Some believe that the term topaz traces back to a small island in the red sea called Topazos. The Romans would collect golden stones here that they then named Topazos. So is this where topaz was found? Not exactly. The gemstones that were collected from this island weren't topaz, but rather a modern-day peridot! Today, the island is called Zabargad instead which is Arabic for peridot. 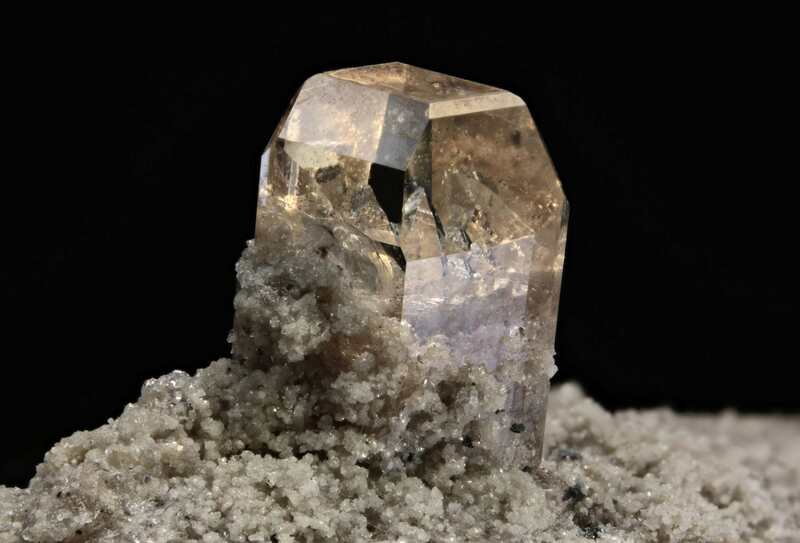 Another believed origin for the name topaz comes from the ancient Indian language, Sanskrit. The Sanskrit word topas or tapaz translates to "fire." For thousands of years before gemologists and geologists could differentiate between minerals, all golden colored gemstones were called topaz. For instance, gems like golden citrine and smokey quartz and even peridot were considered to be topaz even though they are entirely different minerals. It's easy to understand why because to the naked eye, it is nearly impossible to tell the difference between golden citrine and a similarly colored topaz. Science eventually helped differentiate topaz, but it seems the average jewelry consumer still lags behind, often confusing topaz with the more popular citrine. Despite this mix-up, topaz has become prized among jewelry aficionados for its unique beauty and variety of other colors it comes in. When most people think of topaz, they think of a lightly colored brown stone that is abundant and inexpensive. Though this is partially true, topaz also offers some high quality natural colored specimens that can rival top-quality colored sapphire in both beauty and value. Natural topaz comes in many shades of yellow, orange, red, green, blue, pink, and purple. The most valuable color of natural topaz is red. It is so rare that less than 1% of all gem-grade topaz rough exhibits this shade. These stones have a reddish-orange tone and are known as Imperial Topaz. The red coloring is most dominant at the top and bottom of the stone. The center of the gem usually exhibits an orange body color with pink undertones. Imperial topaz was first discovered in Brazil as well as in the Ural Mountains of Russia. It was used in the Imperial jewels of Russia and named after the Russian Czars of the 18th and 19th centuries. Though topaz is the official birthstone of November, the alternative birthstone is golden citrine. Unlike other month's alternative birthstones that often differ entirely from the official birthstone, citrine and topaz are so similar that they are often confused. Citrine is a variety of quartz that comes in golden yellow or fiery orange and brown tones. Topaz is a much more diverse option. There are a few different varieties of blue topaz that are marketed in the jewelry industry: swiss blue topaz, London blue topaz, and sky blue topaz. While blue topaz can occur naturally, this is extremely rare. The vast majority of blue topaz is treated by taking colorless or lightly colored topaz and using a combination of heat and radiation. These commercially available gems used to command a decent price per carat, but due to over manufacturing, the abundance of material has caused the cost of blue topaz to go down considerably. Topaz is a relatively hard stone, making it a great choice for jewelry you will be wearing every day. It rates 8 on the Mohs hardness scale and is pretty resistant to scratching. Like a diamond, it can be chipped or cracked with a hard blow. Be sure that the sides of your stones are protected, and take care not to hit the stone along the edges.